The heart and soul of hunting is alive and well in a video presentation debuting around the country this fall and showing in Grand Rapids at 7 p.m., August 28 at the Wealthy Theatre. It’s called the Hunting Film Tour. The two-hour event is the brainchild of Gary Gillett, owner of G2 Adventure in Calgary Alberta Canada, who teamed up with Webeye Group in Boulder Colorado, owner of the famously popular Fly Fishing Film Tour that shows every winter at the theater. “We felt the hunting market was fairly underserved when it came to high-definition hunts and (people were) growing tired of the traditional “TV” hunt,” said Chase Perry, the marketing manager for both film tours. And preserve it they do. I was skeptical when I first heard about the Hunting Film Tour – for the reasons Perry stated so well. Hunting television has some razzle-dazzle, but little that really captures the essence of hunting for the hunters– relying more on a host’s persona and formulaic presentations that fit the content slots between the ads. In a word: superficial. But I had a chance to see an advance presentation of many of the films in the Hunting Film Tour. I found them rich in story color, both human and visual, superbly produced, and fascinating to watch. The tour has eight to 10 segments that transport the audience to different archery, gun and muzzleloading hunts around North America – for elk, wild turkey, grizzly bear, whitetail deer and aoudads, a type of ram, to name a few. No punches are pulled when it comes to filming the animal being killed. The stories are are honest in that regard. They also ring true in their depiction of hunts and hunters, from the exasperation of a missed opportunity to the genuine elation of the hunters and crews who have pushed themselves hard to find their quarry, often physically in very demanding terrain, sometimes for days, before they find success. Perhaps only “The Duck Factory,” by filmmaker Zach Pedersen, is a bit gratuitous. It is wonderful to watch, don’t get me wrong. 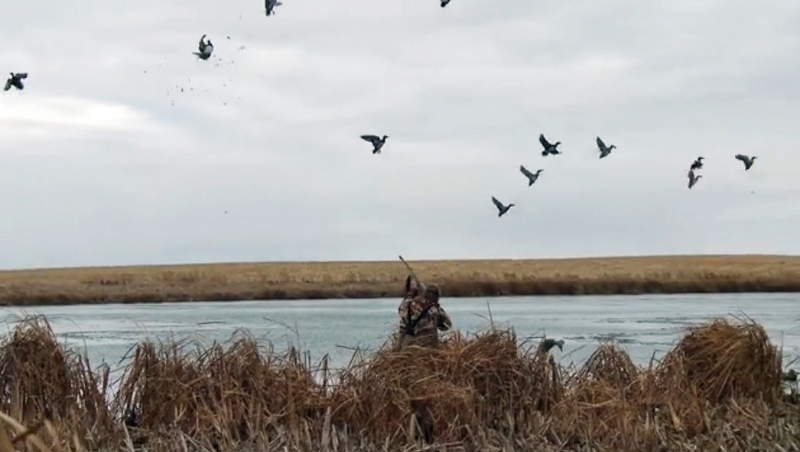 It focuses on hunting waterfowl in the Prairie Pothole Region of North Dakota – an area with millions of ducks. As a waterfowl hunter I thoroughly enjoyed it, but as fan of film I found it lacking the depth and personality of the other films. It’s a bit of a high-five saga Wasn’t that some awesome shooting? The short-takes are good, but less engaging. They work well as breather before engaging in another big hunt. 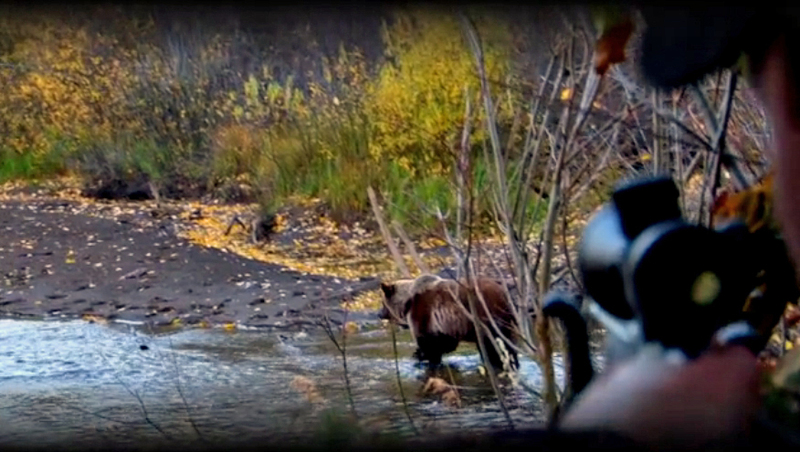 The Hunting Film Tour is must-see for dedicated hunters. Perhaps the promoters will pick a better week to show it in Grand Rapids next year, something later in the season when the nights are longer and after the Labor Day holiday weekend. Tickets are $10 at the door or online at: Hunting Film Tour where you can see trailers. Grand Rapids is the only Michigan showing in the national tour. This entry was posted in Uncategorized and tagged Adventure Travel, Adventure video, Conservation, G2 Adventure Entertainment, Grand Rapids, Hunting, Hunting Film Tour, Hunting video, Reviews, Wealthy Theatre, Webeye Group. Bookmark the permalink.